I like my pasta dishes simple. A few ingredients, some olive oil, toss, serve. This cannelloni filled with ricotta and spinach are so easy to make, so filling, so rich that I wonder why I just don’t make it more often. 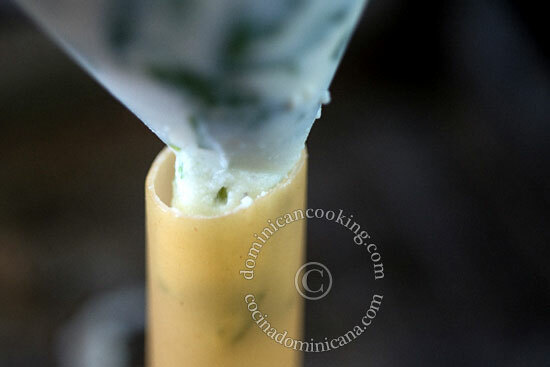 Mother’s Day is coming (in the Dominican Republic it’s the last Sunday of May), so if you are looking for a dish to serve your mami without straining your cooking muscles, this is it. You’ll make your mama proud. And speaking of Mother’s Day, today – like every year for the last 5 – I attended the Mother’s Day school recital. A joyous occasion designed to make us mothers feel guilty for thinking we should be working when our kids are trying to express their love through artistic interpretations that only mothers can appreciate. Then we get handmade gifts filled with love and sorely lacking on talent. OK, maybe I am a terrible mother. This year my daughter made a booklet in which she expressed all the reasons why she loves me. Things like “you feed me every day” and “you walk with me to school”. I’m glad somebody appreciates that I do these things without a judge’s order. Joking aside, I love being a mother and am fortunate to share my life with this child. I hope I don’t mess up too much, heaven knows no matter what I do I will end up blamed for whatever turns wrong in her life later on. Cannelloni Filled with Ricotta and Spinach Recipe: Delicious dish that is much easier to make that it seems. They will be a hit at the dinner table. Add the onion and garlic. Cook and stir until the onion becomes translucent. Add the tomatoes. Cover and simmer over very low heat until the tomatoes are cooked through (around 30 mins). Add the basil and season with oregano, salt and pepper to taste. 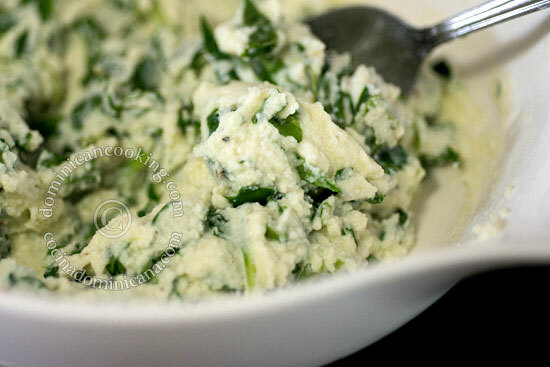 Mix ricotta, garlic powder, basil and spinach in a deep bowl. Pour the mix into a plastic bag and cut a corner. Fill the uncooked cannelloni with the ricotta and place on a baking pan. Bake for 40 minutes or until cannelloni are cooked through. Sprinkle with Parmesan or Pecorino, serve with salad. Can I use a garlic and onion Basil spaghetti sauce?? You can try it, it’ll probably work, but I haven’t tested that substitution. I made this for the first time and it was an éxito!!! !